Ibbotson was nearly 50 when The Great Ghost Rescue was published – a degree in physiology at Cambridge having been swiftly followed by marriage and a primary focus on creating a stable home life for her four children – but she soon secured a fanbase of young and old for her tales of eccentric witches and friendly ghosts. She was shortlisted for the Carnegie medal for Which Witch? the story of a wizard looking for a wife, while Dial-a-Ghost describes how Fulton Snodde-Brittle comes unstuck when he tries to hire some "frightful and dangerous ghosts" to scare his young nephew to death. The Secret of Platform 13 features a mysterious platform at King's Cross station that leads to another, magical world. Published in 1994, three years before JK Rowling's Harry Potter set off for Hogwart's from King's Cross's platform 9¾, the book's possible influence on Rowling has occasionally been raised, though never by Ibbotson herself. A self-confessed "happy endings freak", she expressed some bemusement at trends for darker children's fiction and her books always reassured young readers that good would be rewarded and that spoilt brats and greedy grown-ups would get their comeuppance. The historical novel Journey To the River Sea marked a new direction for Ibbotson. Featuring a fearless but sensitive orphan girl in a vividly described Amazon setting, it was written after the death of Ibbotson's husband of 49 years when the author felt too sad to write another funny story. It enjoyed both critical and commercial success and set Ibbotson down a path of alternating what she called her "rompy books" with longer, well-researched historical novels for a slightly older age group. The Star of Kazan was set in Vienna, the city where Ibbotson lived until the age of seven, while The Dragonfly Pool paid homage to the progressive boarding school, Dartington, to which she was sent after a period being shuttled between her separated parents. Ibbotson described this period of her childhood as "cosmopolitan but unhappy" and she attributed to it her desire for happy endings in which her characters always find a home. She explained in a recent interview, "my mother wrote film scripts and worked in Berlin and my father was a scientist and worked in Edinburgh and my grandparents lived in Vienna and I was always on some large train going about and wishing I had a home. So when I came to write, consciously or unconsciously I always had to make things right for the hero or the heroine". Ibbotson's third strand of writing was light historical romances for adults, including The Secret Countess and Magic Flutes. These sold better in America than in the UK but in the last few years were repackaged for teen readers, to Ibbotson's surprise. Although she had battled poor health in recent years and was suffering from the auto-immune disorder lupus, Ibbotson continued to write. The most recent of her "romps", The Ogre of Oglefort, was published just a few months ago and was shortlisted for the Guardian children's fiction prize and the Roald Dahl funny prize. "The thing you have to do is keep writing, the habit is too ingrained, you can't stop," she said at the time. • Eva Ibbotson, children's author. Born 21 January 1925, Vienna Austria. Died 20 October 2010, Newcastle England. Libraries matter to people! Even those who don’t use them regularly care about what happens to them because they recognise what they stand for; that they exist to ensure that everyone has access to the knowledge, scholarship, books and information they need to help them enjoy and make a success of their lives. Nottinghamshire County Council said last week that it planned to cut its books budget by 75%, reduce opening hours, and reduce the frequency of mobile library visits. Councillor Cottee, who is responsible for Nottinghamshire's 61 libraries, told the BBC, that there was little choice but to reduce staff and opening hours because of the deficit crisis. The deadline for receiving videos is December 10 2010. A panel of judges will select six winners from the online archives who will go on to attend a master class weekend led by SLAMbassadors Artistic Director Joelle Taylor and Adisa the Verbaliser. Here they will sharpen up their acts in readiness for a gala showcase event in London. You can see the videos that have already been entered at http://www.youtube.com/user/ThePoetrySociety?feature=mhsn We are scouting out all 12 -18 year olds who have something to say, spit, rap or beat box on the theme of “Identity”. This is an amazing opportunity for young people to have their say in their way. SLAMbassadors UK is the only online slam competition. 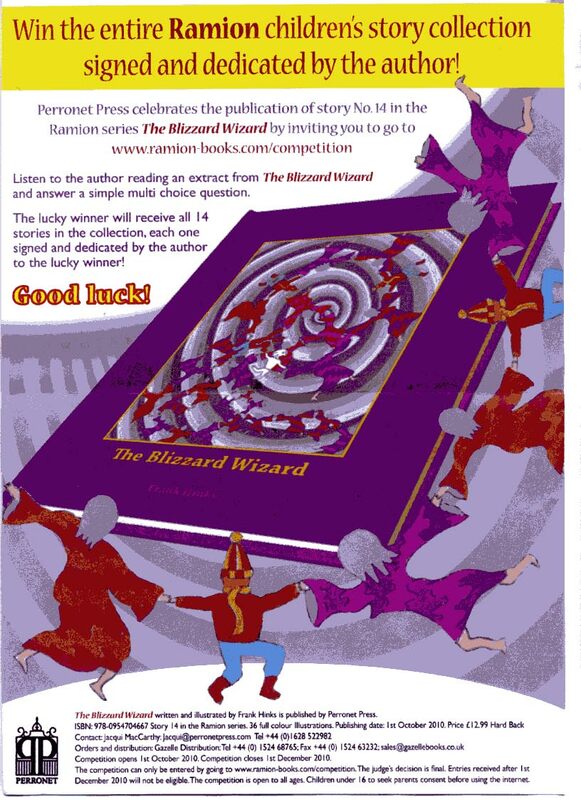 visit the website http://slam.poetrysociety.org.uk for details of how to enter. We want to make sure as many young people as possible from all around the UK take part in the championship and have the chance to appear on stage in a showcase event in London with leading performance poets. Discover the art and folktales of the ‘Warli’tribal community of western India in this fun family storytelling and folk art workshop. Author and storyteller Gita Wolf will take children and parents on a colourful journey while reading from her book ‘Do!’ which is illustrated by Warli artists. The simple yet incredibly dynamic figures of Warli paintings tell stories of village life, myth and legend. They are like fluid pictograms, rendered in a way that children can relate to immediately. This workshop engages children actively with Warli art and will encourage them to create. You'll be able to see this also in the next edition of Carousel out at the end of October. Michelle Paver has won the 2010 Guardian Children’s Fiction Prize with GHOST HUNTER, the final book in the best-selling CHRONICLES OF ANCIENT DARKNESS. Announced this evening at a ceremony at the Guardian, Michelle collects the £1,500 prize for the only children's award in which authors are judged by their peers. The Big Draw launched last Friday and runs right through October. It’s a chance for everyone to get drawing, from those who love to draw and those who think they can’t. There are over 1,500 events worldwide. Not in London? Have a look at some of these events happening across the country and have a look at http://www.campaignfordrawing.org/bigdraw/ to find out what’s happening near you. Prince of Denmark 14 – 26 October Set a decade before the action in Hamlet, this is a terrific first introduction to Shakespeare’s anti-hero. Actors from the National Youth Theatre and technicians from local FE colleges have been paired with NT practitioners to produce this specially-commissioned new play. Workshops are also available for families before the performance. Tickets £5 (£7.50 with workshop). Theatre Skills for Families 27 – 29 October Practical half-term workshops for the whole family, led by the NT's team of experts. Includes Stage Combat, Making Monsters (to accompany Beauty and the Beast) and Make Your Own War Horse Puppet. Tickets £7/£10. Age 8 – 12. Children must be accompanied by an adult. Adults must be accompanied by a child.